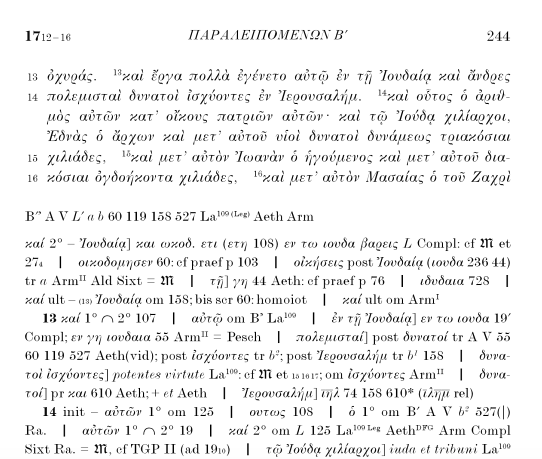 Working with the Göttingen Septuagint is not for the faint of heart, as I have noted before–though I have offered a couple of widely read (and hopefully helpful) posts on how to read and understand LXX-G.
New Göttingen volumes are not frequent; to publish one involves a great deal of work on the part of the editor. This is the first-ever critical edition of the volume Paralipomenon II and represents a major step in the continued publication of the oldest Septuagint text available. You can find the volume here at V & R and here at Amazon.